All home owners will know that at some point, the exterior of their property will need a certain degree of maintenance to keep it in the best possible shape. 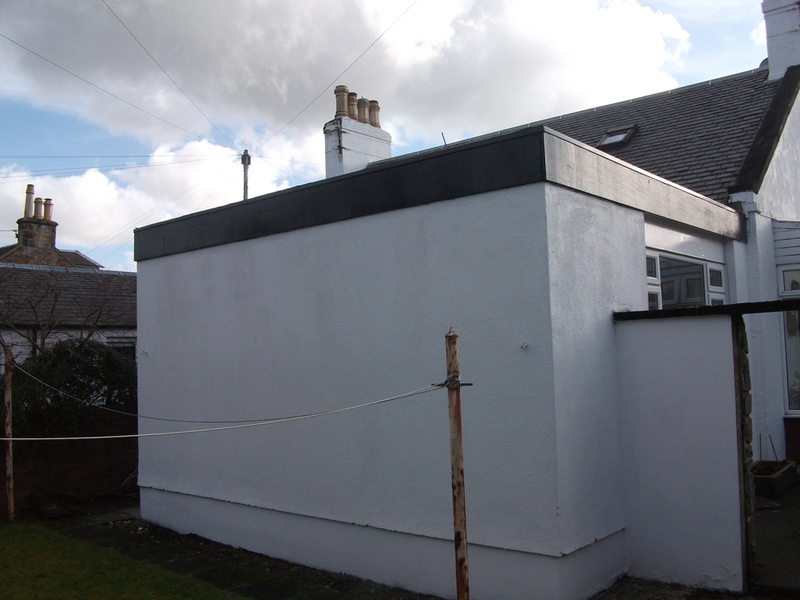 Every five to six years, it is recommended that all external paint work is improved and made better able to withstand the worst that our traditional Scottish weather has to throw at it. J I Fairbairn know that there are few more rewarding projects than giving your home a new look with a fresh, crisp paint job and it is ideal for brightening up a tired looking house or jaded commercial building, whether for your own satisfaction or in preparation to sell. It is a labour intensive task, however, a good paint job will not only look smart and attractive to potential buyers, but will protect your home from the elements and save you the cost of repairs. We know that for any exterior job the most important step is proper surface preparation. Taking the necessary time for proper surface prep and then using the highest quality paint and materials are crucial for achieving a long-lasting paint job, whether it is walls, windows, wooden surrounds, or other outdoor structures. On brickwork or walls where the paint film has broken down, we use a stabilising solution for binding porous, loose, and powdery surfaces prior to painting. As far as the paint itself goes, masonry paint is either acrylic or oil based, and is formulated specially for exterior use on cement rendering, rough cast, brick and concrete. It provides a smooth finish that is resistant to dirt accumulation and offers superb weather resistance, with some having up to a 15 year life expectancy. 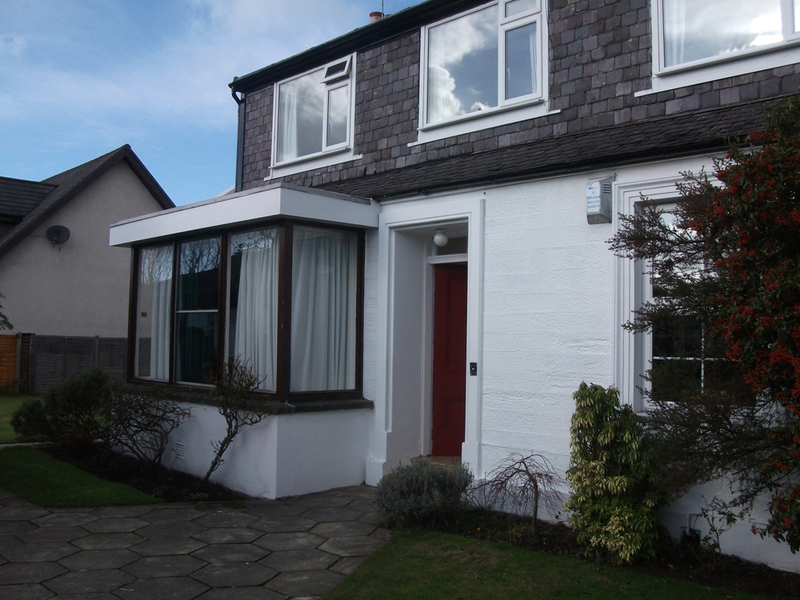 There are also paint systems which have been developed to provide longer lasting protection for exterior woodwork. Exterior flexible undercoat and gloss are flexible in order to help absorb the natural movement of wood which helps prevent cracks appearing and the paint film from breaking down. With external masonry paints and wood stains, you can protect your home from the elements and keep it in good condition, while remaining smart for you or to help attract potential buyers in the future. Evaluate Existing Conditions: We will examine the entire surface of your house, looking for problems such as peeling paint, open joints or seams, wet or rotted wood, mildew (black or grey spots), stains, and other problems. Prime bare wood: Paint will not bond to wood exposed by sanding, so we will apply an exterior acrylic or oil based primer to all bare wood. Patch damaged wood: We use an exterior filler compound or, for larger damaged areas, cut out and replace the wood. Gapping: Usually the previous paint film peels or flakes most often near joints or between dissimilar materials because water seeps into cracks and soaks into the wood. We fill in the gaps in all the joints, ensuring a lasting paint job.